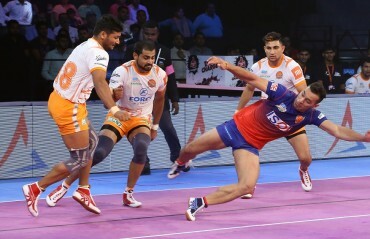 THE DABANG DELHI have not had a run that they can boast about so far in the Pro Kabaddi League, however, a rejigged Indian unit has revived its hopes of finishing ahead on the points table. After failing to make it into the top half of the league in four consecutive seasons, the Delhi-franchise hand-picked some quality players in the recent high budget auction. 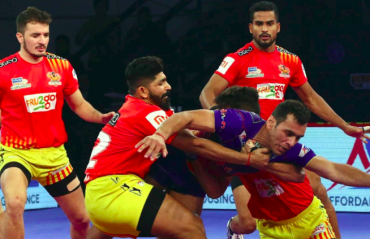 The franchise, which is currently owned by Radha Kapoor’s DoIT Sports Management (India) Pvt Ltd, had its worst season in the third edition of PKL, where they won just one out of 14 games and finished at the bottom of the points table. 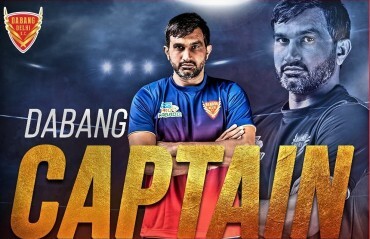 This season, the Dabangs have built a formidable squad around star Iranian all-rounder Meraj Sheykh, who led the Iranian squad to the finals of Kabaddi World Cup. The franchise retained Meraj and acquired some talented young raiders in Ravi Dalal, Suraj Desai and Rohit Baliyan. 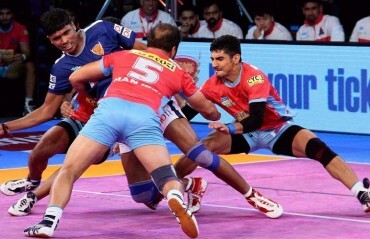 It also roped in veteran defenders in Nilesh Shinde and Bajirao Hodage. Under the helm of coach Dr. Ramesh Bhendigiri, the squad will look to put the pedal to the metal in season five. Let us take a look at few of the crucial Indian players in the 21-man squad, on whom the Dabang Delhi will be heavily relying to end its performance woes.